Get ready to explore the Urban jungle in comfort. 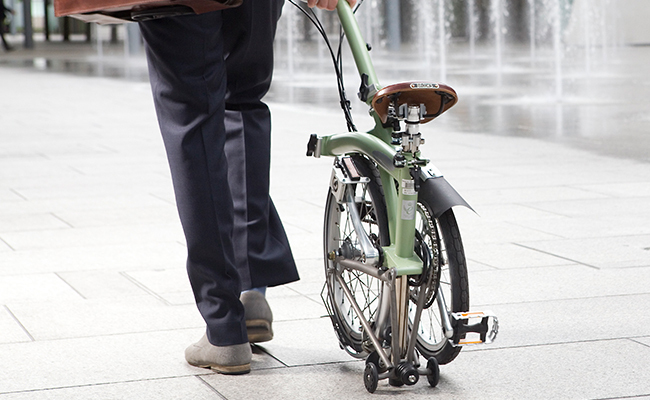 Welcome to the Brompton folding bike hand built in England with over 35 years of constant innovation. 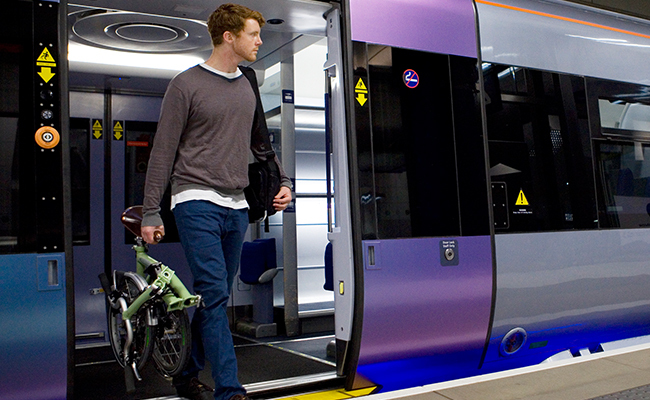 The result is a fun and fast ride, which folds in mere seconds to the worlds most compact and easy to transport package. 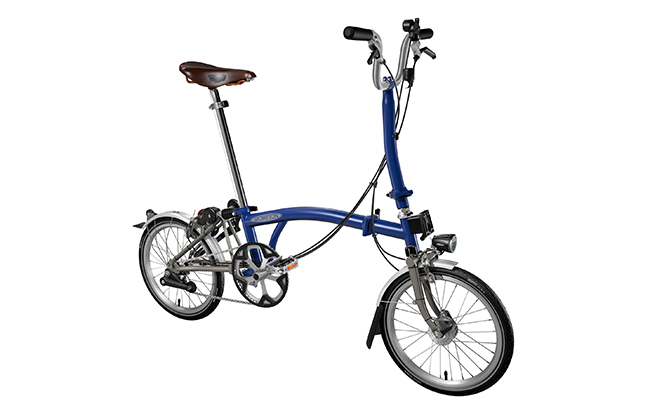 Our Urban Upright model, is the most upright of all Brompton configurations and when combined with set of fenders and front luggage you are ready explore the Urban jungle in comfort. Low step through fits everyone from about 10­-12 years old. 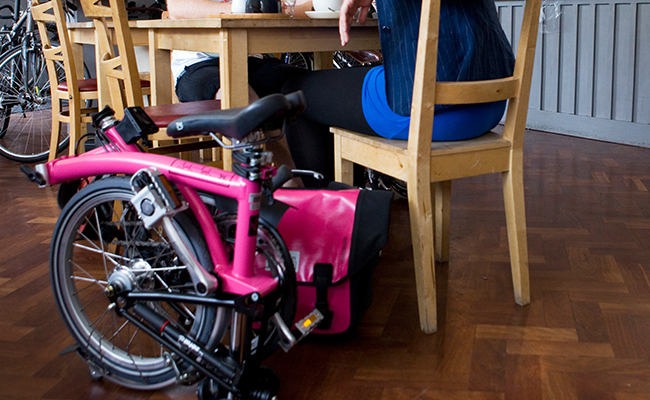 Note taller riders may need an extended seatpost.